Families are wonderful. They set the foundation for how we should act and when. We then call these actions traditions. Except, things change. When I grew up, we opened presents from immediate family members on Christmas Eve. Then, on Christmas morning, we discovered the delightful gifts Santa had left for us unwrapped under the tree. To this day, as an adult with my own children, we still spend Christmas Eve at my parents’ house. Except, it will just be my mother’s house this year – our first without my father, who died earlier this year. I started a tradition a few years ago, but I let it lapse. I will initiate it again this year – lighting a blue candle for my father, and for all those who have died whom I want to take a moment to remember. With my children and mother now involved in the new tradition, it should continue year after year. This happens in our businesses as well. I learned that a seasoned employee was telling a new employee, “that is how we have always done it,” regardless that I had expressed a new way I wanted it done. A new tradition? A new procedure that becomes tradition, until it needs to change. Each year, review the traditions/processes you want to keep and those you want to change due to different circumstances. (I want to continue going to my mom’s house on Christmas Eve, but now I do Christmas day at my house with my children. Keep doing retail seminars, but begin doing prospective client workshops too). Enjoy the traditions/processes and remember what it is really all about, for you personally and for those you love. This week's topic is Who Should Consider Medicaid Planning? Determining Eligibility or Excess Spend Down. “Earlier this week,” is the phrase I used to start the weekly production meeting. Marci immediately cut me off: “Molly, its only Tuesday a.m.” Well, it certainly felt like late Thursday afternoon, with Friday tolerantly waiting on the horizon. I’ve been pondering that simple comment. So many people I talk with have the same theme, feeling like they are white-knuckling through their week. I realized how fast and furious we move through our days, hopping from one task to another, often unaware and unconscious. Ironically, I was late to a call with my coach last Tuesday. I spun into the call with “Sorry I’m late, my last call went over.” She led me into a transformational conversation that started with, “Consider the possibility that when we don’t take the time to properly transition from one action to another that it can be counterproductive. Consider that your rushing because you do not want to be 1 minute late could be actually hindering you from allowing the time you have together to be so much more powerful.” WOW. All it takes is a 1-minute transition to create a conscious shift. Paula taught me that, if I’m authentically going to help others, skipping this time is not an option. If we don’t take that sacred time, it communicates to the person/meeting/event how little we put into being fully prepared to be with them. WOW, what a breakthrough, this 1-minute transition “process.” Because my current reality is that I have an unforgiving calendar, unrelenting follow-up and time-sensitive year-end wrap up, and none of that is going to ease up between now and December 31st – and all without potty breaks. I have also added this to my green “Meeting Focuser” sheets as well as a sticky note next to my phone and on my computer. White-knuckling is nothing more than a habit, a way of being. With the tools and training, it no longer has to be “It is what it is.” If you’re interested in hearing more about weekly planning and how to create safety nets to support you, please join us for a 1-hour webinar on “Effective Weekly Planning” on December 16th. Click here to register. The greatest success that I've had since joining LWP is the fact that I now own a business rather than a job. Before I joined LWP I was working seven days a week and every evening. I now realize with the assistance of LWP and the LWP tools (the weekly, daily, and monthly planning as well as the time templates) that I can be in control of my schedule and not allow the client to be in control of it. Now, I pride myself that I only work one night a week and spend quality time with my family. Also, I have implemented the maintenance program which is taking another step towards having a saleable practice as opposed to a job that if I was no longer there the business would not be able to sustain itself. My favorite LWP tools are the LWP audit and the vision clarifier. The audit and clarifier allow me to ensure that I am enrolling the client rather than selling the client any product or service. I have gotten great feedback from clients after the vision meeting that they feel like their voices are heard and that I am doing what is best for them and their family and not what is best for my pocket. Clients tell me that our process in the vision meeting is very different than other attorneys. The tools allow the client to be in control of the process and know upfront what the plans will do and also what the cost is. I believe that the audit and clarifier are the two most important tools that I use in that they have increased my business the most. LWP has impacted my practice in more ways than I could possibly express. 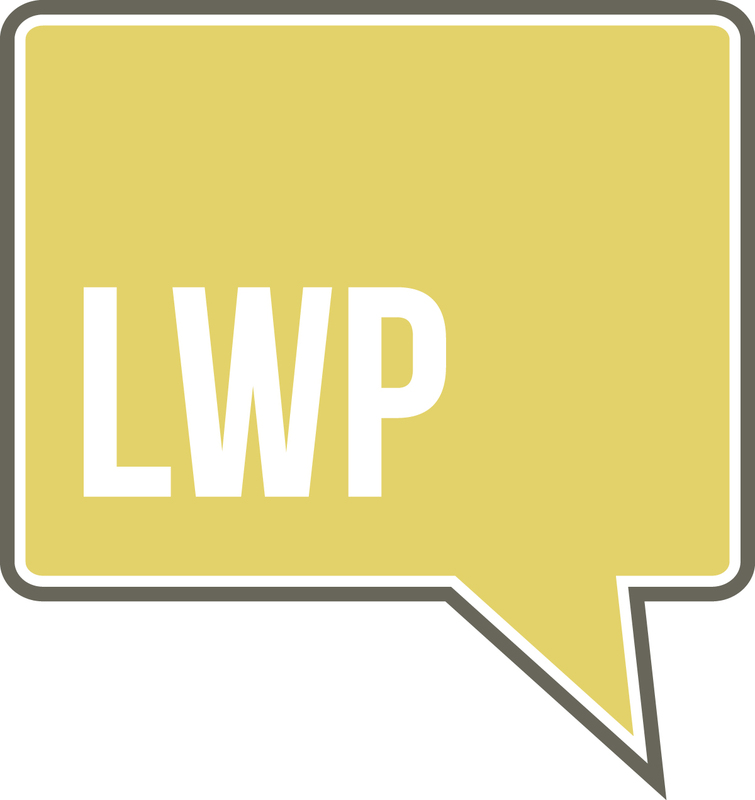 I joined LWP with one team member and the team has now grown to a team of six and growing in only three years. I never could have imagined that the team would grow and that my enjoyment of practice and the law would grow as well. The systems and processes of LWP enable me the ability to grow but at the same time ensure that the quality and the brand of our firm is not compromised. There is nothing like The LWP community. Each and every year we look forward to the retreat and opportunities to be with the other members of the LWP community. The bonds that we have grown as well as the knowledge that we have gained is immeasurable. Last week I wrote about how thankful I was to be able to spend Thanksgiving in Myrtle Beach with my family. I had been traveling so much lately and really needed to spend quality time with my children and get some rest. We drove eight hours (for a five-and-a-half hour trip) and happily checked into the resort at 5:00 p.m. on Saturday, ready to get out of the car. We spent a quiet evening as planned. The next day we went to the clubhouse and played bingo, winning three out of five prizes. My children are a little competitive. Then we went swimming at the indoor pool. A great time was had by all. We had the next three days planned out as well. But, while I was making dinner Sunday night, Katherine was helping, like she usually does. However, she was in a strange kitchen and standing on an unfamiliar chair. She slipped. To catch herself, she instinctively put her hand down on the red-hot flat-top electric stove. A trip to the emergency room ensued, which was followed by hastily packing up the car (to include $130 worth of groceries we had just purchased that morning) and heading back to Atlanta so we could be at the burn center by 8:00 a.m. Monday. From time of incident to pulling away toward home, it was only four hours and 15 minutes. Today I am thankful for different reasons. You can likely guess what they are so I won’t belabor the point. However, I will take you back to my original post of last week with the tips I left for you. Despite not having any sleep Sunday night and being at the burn center most of Monday, I still accomplished my goals. I spent quality time with my family, I got some rest, and I reflected on my past and created my future for three current businesses and one new venture. Additionally, because I returned home early, I was able to check off some much-needed “to do” list items at the house (purging children's toys to make room for the new ones next month). In times of crisis, there are lessons to be learned and thanks to be expressed. Now and always I am thankful for my health, high energy and ability to see the forest for the trees. This week's topic is Who Should Consider Medicaid Planning? Learn and Identify the Rules (Part 2). Need to get caught up? Click Here for Part 1 of this Series. Commonly Cited Reasons for Elder Financial Abuse. The incidence of Alzheimer’s Disease, and other dementias that undermine judgment, increases with age. Approximately 5.1 million Americans have some kind of dementia, including 200,000 under the age of 65. Close to 50% of all people over age 85 have Alzheimer’s Disease or another kind of dementia. Research indicates that people with dementia are at greater risk of elder abuse than those without the condition. Diminished financial capacity is more prevalent as one ages (i.e. the ability to manage money and financial assets to meet one’s needs effectively), according to various research studies. Elders have become largely socially isolated. Extended multi-generational families are no longer common in our society. Thus, there are fewer persons in an elder’s life who can realistically detect suspected financial abuse, allowing perpetrators to more readily create an environment that facilitates their crimes. Family members who become dependent on an elder for financial support increasingly live with their elders permanently. Once entrenched in the lives of elders, these people have myriad opportunities to engage in financial abuse and exploitation. Research suggests that the area of the brain known as the “anterior insula” changes with age and adversely impacts “gut feelings” about the trustworthiness of potential predators. Elders with clinical depression are statistically more likely to be victims of financial abuse or exploitation. Financial illiteracy is pervasive among Americans in general, and is especially marked among elders, according to research studies. Profile of Perpetrators of Elder Financial Abuse. The 2011 MetLife Study reported that 51% of the cases considered involved elder financial abuse by strangers, including home repair scams, telemarketing scams, and strangers committing robbery and burglary. Other studies also include in this category of stranger abuse mail or internet scams and identity theft. The 2011 MetLife Study theorizes that stranger elder abuse is more likely to be reported than abuse by known perpetrators. Family, friends, neighbors, in-home caregivers and other known persons (e.g. Agents acting under Powers of Attorney) accounted for 34% of the perpetrators included in the 2011 MetLife Study. Also included in this category by other studies are legal guardians appointed by state courts, and Representative Payees under the auspices of the Social Security Administration. There are numerous factors that materially increase the risk of a person known to the elder engaging in elder financial abuse. Those include (i) use of drugs or alcohol, (ii) high stress levels and low coping resources, (iii) lack of social support, including respite care options, (iv) high emotional or financial dependence on the elder, (v) lack of elder care training, and (vi) depression. Business and financial service providers account for 12% of the perpetrators reported in the 2011 MetLife Study, including insurance advisors, bankers, attorneys, building contractors, and nursing home administrators. Other studies include securities brokers and dealers, financial advisors, and “others in the financial services industry.” These perpetrators were involved with predatory lending, identity theft, embezzlement, and the sale of fraudulent investments or financial products or services which were unsuitable for the elder’s circumstances (e.g. long-term annuities). “Free lunch” investment seminars are also included in this category. Medicare and Medicaid fraud is a fourth category of financial abuse perpetrated upon elders. While only 4% of the total cases considered in the 2011 MetLife Study, this amounted to 58% of the total losses sustained. Sixty-percent of the perpetrators of elder financial abuse considered by the 2011 MetLife Study were male. Part 4 of this series will consider common indicators of elder financial abuse.